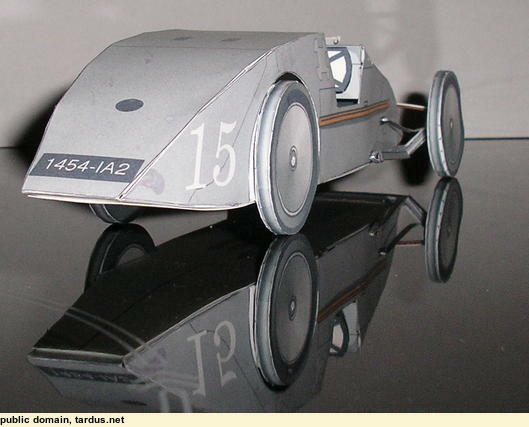 The Voison Laboratoire was an experimental French racing car from 1923, made by the Voison aircraft company. 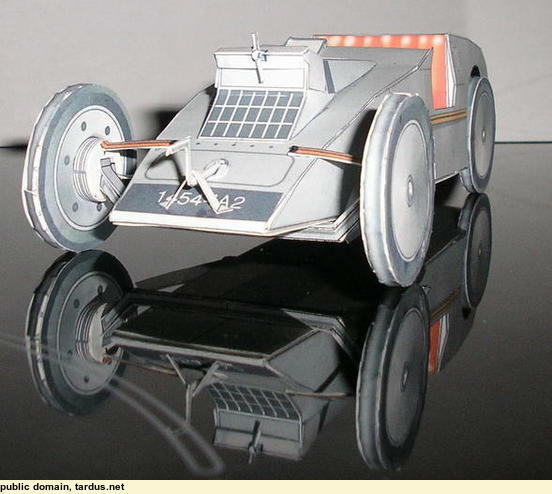 However, it did not have enough power, and was unsuccessful. 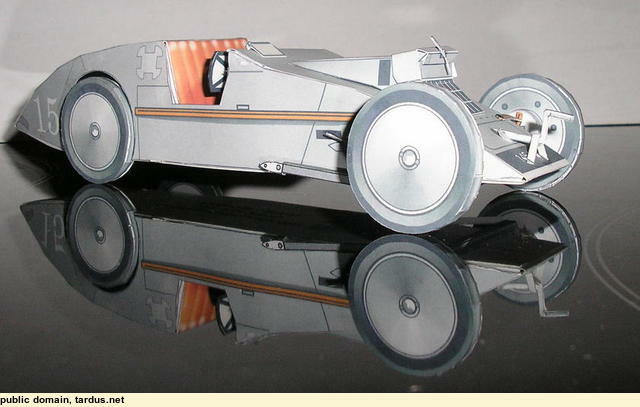 You can download the model from http://pierreg.free.fr/carton/projet/voisin/voisin.htm and print it out. It was not as easy to build as I thought, but on the second attempt I got it right. 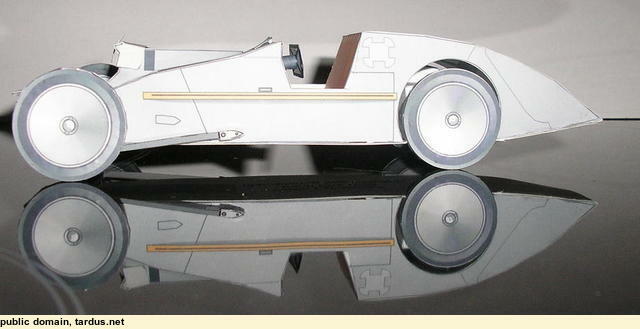 Problems were keeping the body alignment correct, and making the wheels (latter is a common problem for any paper car).